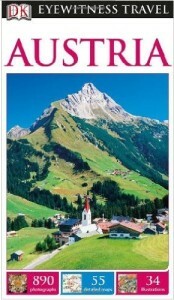 Austria’s capital perfected the tradition of preparing, drinking and serving coffee. A confessed coffee junkie, I made it my mission to find the best Vienna coffee house in town. I can’t say I am a coffee expert, but I am certainly a coffee junky, routinely drinking as much as two pots a day. I first got hooked on coffee in Seattle, Washington in the late 80s, when Starbucks was just a little shop in Pike Place Market. Now that I live in Germany, I’ve had to give up my love of dark roast, as they are not popular here. But I have not abandoned my love of coffee or coffee houses, and the best of both are found in Vienna. Vienna discovered coffee in 1683 when Turkish soldiers left some beans behind after the Battle of Vienna between the Ottoman Empire and combined forces of the Habsburg Monarchy, the Polish-Lithuanian Commonwealth and the Holy Roman Empire. During this time, Jerzy Franciszek Kulczycki (in German: Georg Franz Kolschitzky, a Polish noble and diplomat of Ukranian descent) volunteered to leave the besieged and starving city and contact Duke Charles of Lorraine for help. Kulczycki left the city in Turkish attire and after contacting the Duke, he returned with a promise of imminent relief. Thanks to that information, the city council decided not to surrender and eventually won the battle and saved Vienna. As a thank you Kulczycki was given a considerable amount of money and large amounts of coffee left behind by the Turks. While Kolschitzky may have owned the first coffee beans, Armenian trader, courier and international spy Johannes Diodato (in German: Johannes Theodat) had the expertise to prepare it. In 1685, he was awarded a 20-year license to be the sole coffee seller as a reward for his services. 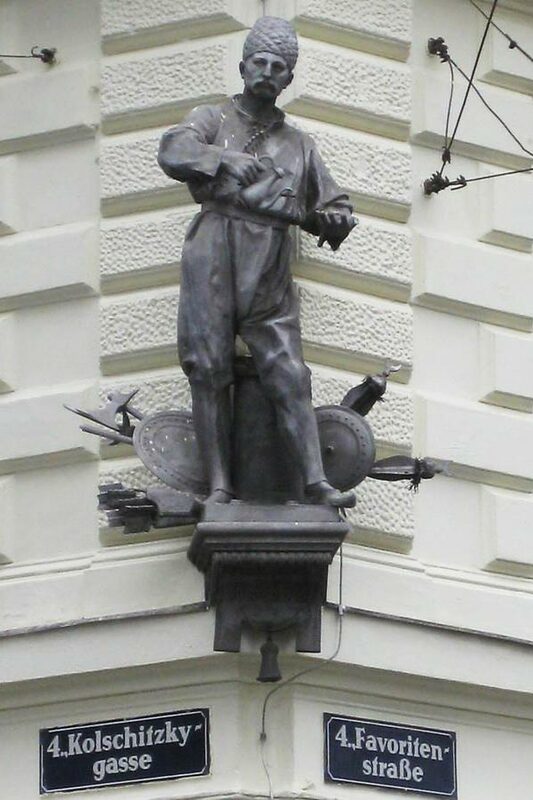 He knew about the art of preparing coffee from his home country and opened the first Vienna coffee house in his residence at Rotenturmstraße 14 on the Haarmarkt. Both Kulczycki and Diodato, as well as first Vienna coffee house, are long gone; however, the Viennese still remember them. They dedicated a park after Diodato near the site of his original coffee house in Vienna’s 4th district, and they named a street after Kulczycki, Kolschitzkygasse, and erected a statue where the street intersects Favoritenstraße. Vienna clearly takes coffee very seriously. Towards the end of the 19th century, intellectuals, politicians, writers, painters and musicians started to gravitate towards coffee houses as a place to meet and exchange ideas. They became especially popular with poor artists, who enjoyed these elegant “hangouts”, as they were a more appealing and convenient place to hang out than their small, crowded apartments. Interestingly, at the end of the 19th century, when patrons of Café Griensteidl were arguing over a point of fact, instead of consulting their non-existent smartphones the waiter would bring them the German Brockhaus encyclopedia. 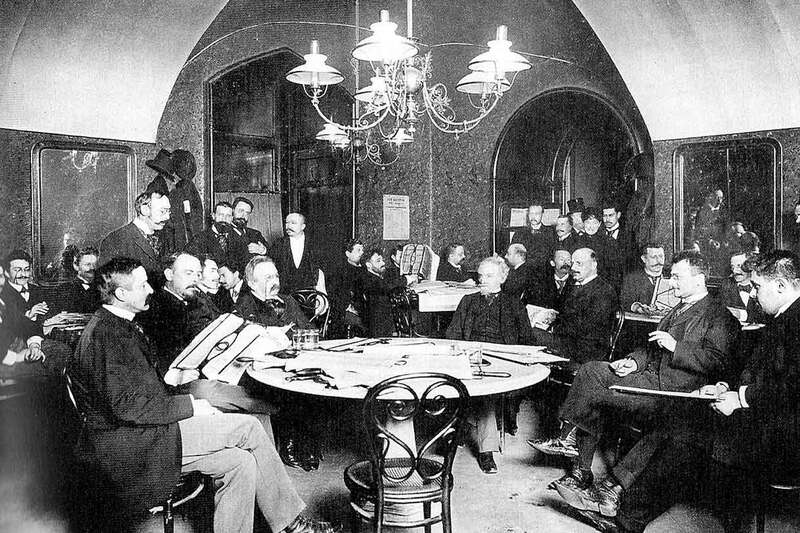 Early Vienna coffee houses were equipped with card games and pool tables. In 1720, the Kramersches Kaffeehaus in Vienna’s city center started providing newspapers for its guests, and soon warm meals and alcohol were also added. However, in spite of this early appreciation of coffee, Viennese coffee culture didn’t really explode until the 19th century when Viennese-style coffee houses opened in Prague, Zagreb, Verona, Trieste and Venice. Large rooms, red-velvet seats and magnificent chandeliers were the typical features for any prestigious coffee house. After WWI, jazz music came to the coffee houses, and during the world economic crisis of the 1930s, coffee houses were hot spots for black market goods that were exchanged secretly under the tables. 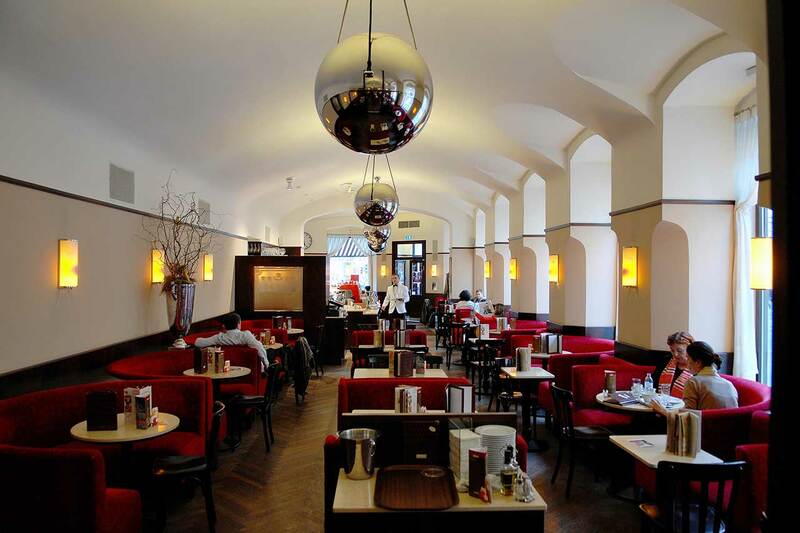 Vienna coffee houses were in full swing until 1950 when Italian-style espresso bars became the new, hip place to hang out, and the Viennese-styled cafés became old-fashioned. The “Italian” trend lasted until the 1982, during which many long-established coffee houses, like Café Herrenhof, unfortunately closed forever. Luckily, in 1983 Viennese coffee houses celebrated their 300-year anniversary, which sparked a kind of renaissance of the Vienna coffee house culture. Today, the Vienna coffee house culture is alive and well and even recognized by UNESCO as an “intangible cultural heritage”. This café was founded in 1873 and has seen many celebrities in its glorious past, including neurologist Sigmund Freud; actors Marlene Dietrich, Romy Schneider and Burt Lancaster; artist Oskar Kokoschka; writers Peter Altenberg and Thomas Mann; the Dutch Queen Juliane; singer and songwriter Sir Paul McCartney and most recently, politician Hillary Clinton. It’s also a favorite for local journalists and has become a popular location for press conferences. 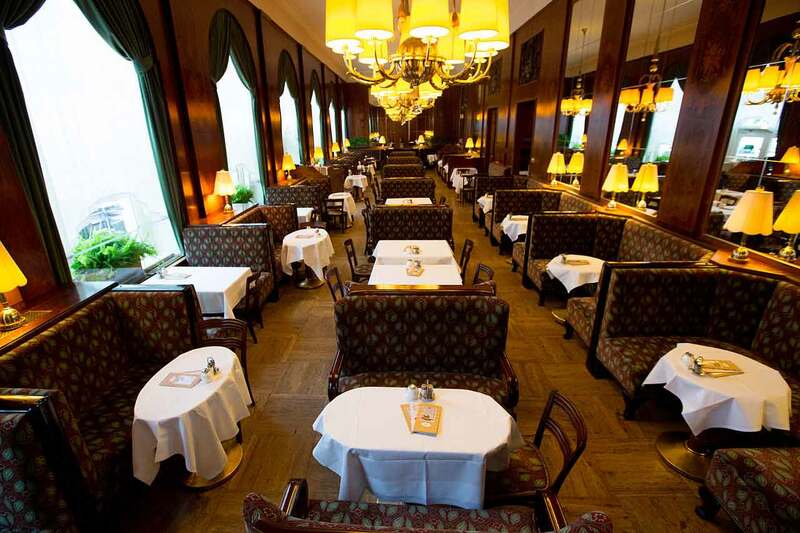 Having last been renovated in 1929, its interior is officially “protected” as an historic landmark, and today, Café Landtmann is regarded as one of Vienna’s most elegant coffee houses. Funny little anecdote: In 2003, many celebrities said goodbye to the headwaiter Mr. Robert on his last day of work. One of them, Vienna’s mayor Michael Häupl, served Robert his coffee as a thank you for his many years of service and gave him an award for being the most popular, most discreet and most courteous waiter in all of Vienna. This café was established in 1876 in the building of the former bank and stock exchange and showcases a beautiful Tuscan neo-renaissance style. It became one of the most important meeting places for intellectuals after Café Griensteidl was demolished in 1897, and its patrons included neurologist Sigmund Freud; writers Franz Kafka, Stefan Zweig and Peter Altenberg (who listed Café Central as his official residency) and actor Hugo von Hofmannsthal. Guests could choose from 250 newspapers in 22 languages, and until 1938 it was nicknamed the “chess university”. This intellectual heaven came to a halt in 1943, when the columned hall got partly destroyed. The café has been under monument protection since 1975, when it reopened. After extensive renovations in 1986, it’s now a popular hangout for tourists as well as locals. 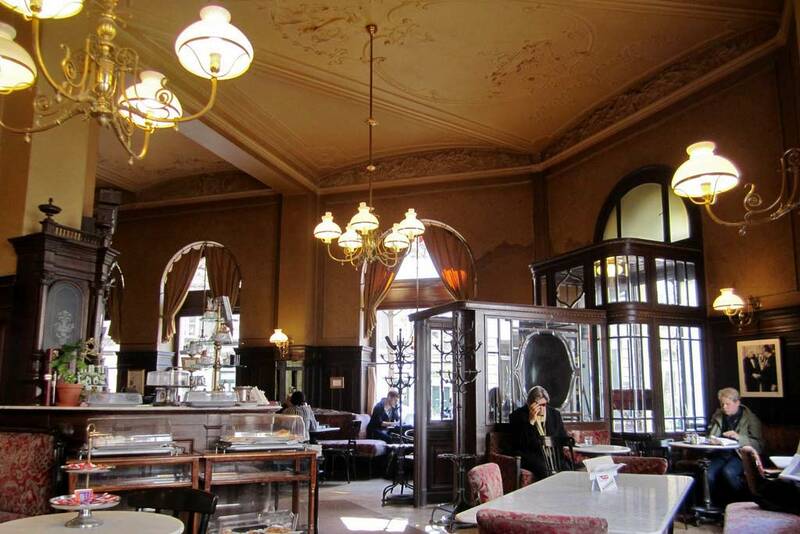 Established in 1899, the Café Museum was a favorite meeting point for painters Gustav Klimt, Egon Schiele and Oskar Kokoschka; writers Peter Altenberg, Elias Canetti and Georg Trakl; composer Franz Lehar and architect Adolf Loos, who designed its first interior. Until the 1990s, it also attracted national and international chess players. It was shut down for one year in 2009, but was reopened in 2010. 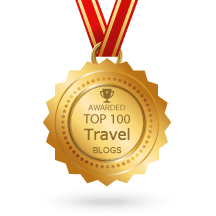 Housed in an 1880 building that is “monument protected”, the wooden floor, Thonet chairs, marble tables and crystal chandeliers take you back to the Belle Époque. Regular guests before the First World War included an odd mix of artists and members of the nearby Austrian-Hungarian Empire army college, including Archduke Josef Ferdinand. Some of the artists included the founders of the Vienna Secession, a movement of painters, sculptors and architects that explored the possibilities of art outside the confines of academic tradition. After a break during the Second World War, the café was carefully renovated and has now become a favorite hangout of modern writers again. 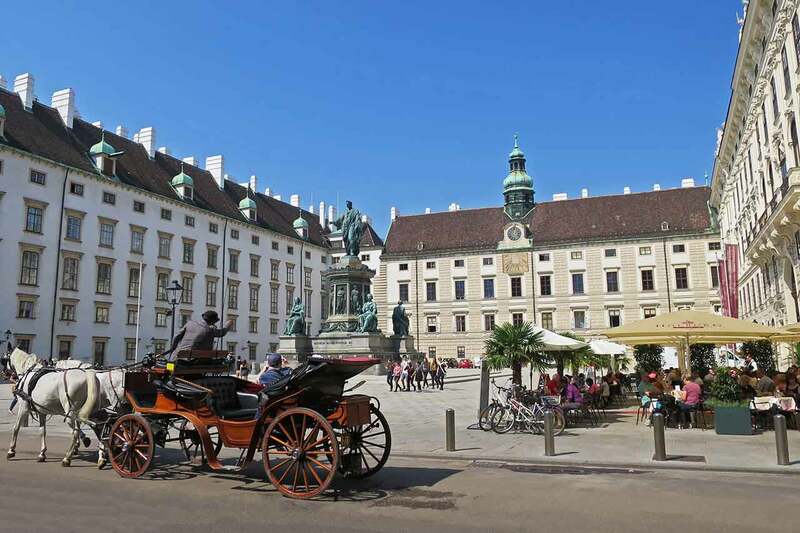 All the places named above are located within a convenient 600 m / 2,000 ft. radius from the Hofburg – the former imperial residence, so you can easily check them all out. If all of this is too confusing, I suggest the most classic Viennese coffee: the Wiener Melange (German for “Viennese Blend”). 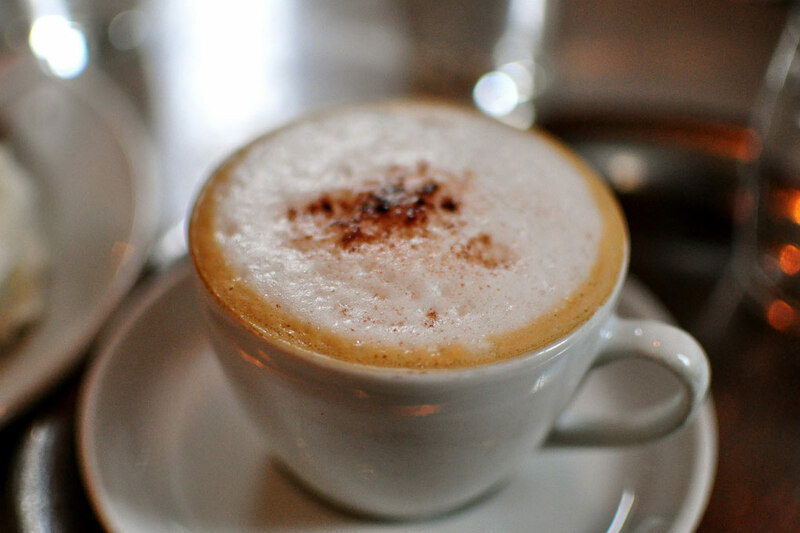 Technically, it’s similar to a cappuccino, except that it’s made with milder coffee. 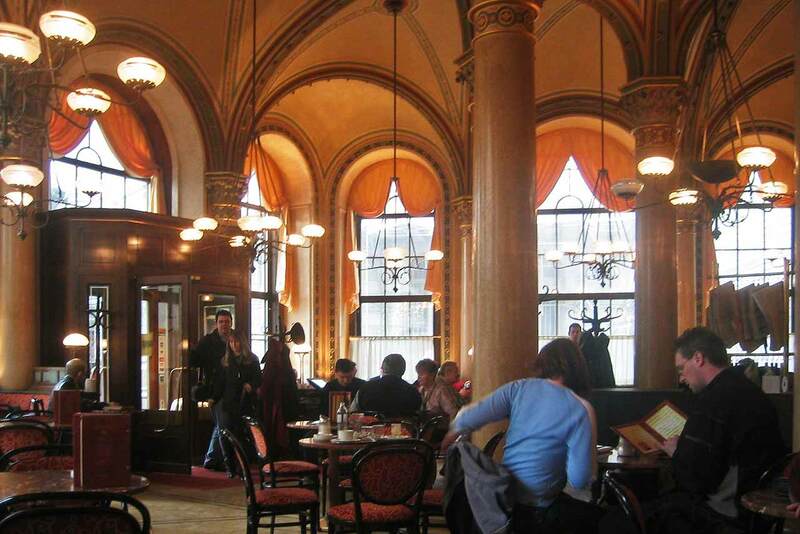 Do you have a favorite Vienna coffee house? Let us know about it in the comments below! 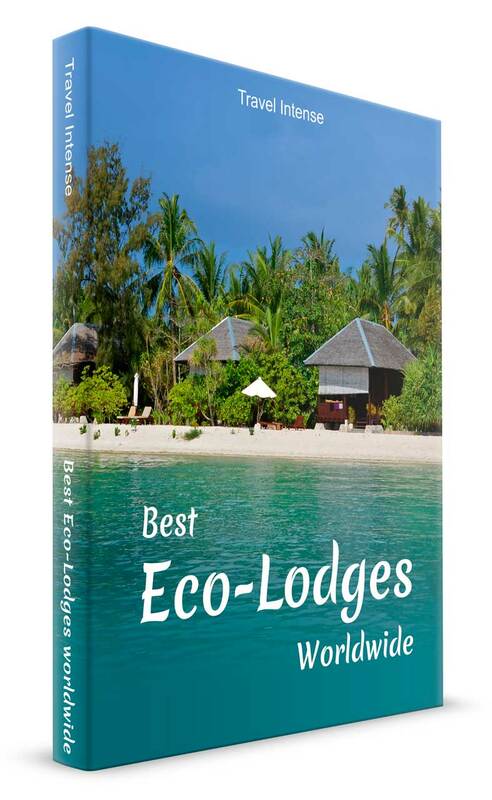 Fantastic place, I’ll be there in September, this article was useful to me! Glad you like it, Heba. Have fun in Vienna! What about Junkie.Coffee place in the 5 District of Vienna? Sounds like a nice place. We haven’t been there though, and wanted to focus on coffee houses with a history in our post. Also at Cafe Sperl, they still offer the original Kaiser Melange with egg in it for those daring. You have to ask as it is not on the menu. My personal favorite Cafe to set up and relax for a slow afternoon when in the city. Thanks for the tip Andrian, I love coffee with my egg breakfast in the morning, but never combined them. I’ll definitely give it a try next time I’m in Vienna!